We undertake the ultraprecision machining for plastic optical parts and pursue the accuracy in nanometer order by investigating the ultimate essense of light. 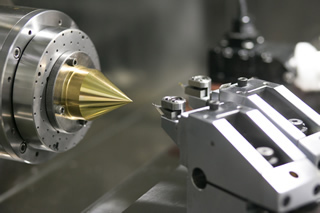 Nalux pursues to make tooling at highest level accuracy in order to achieve the highest accuracy plastic optics. Our machining and lithography equipment allows the production of lenses and gratings with nanometer accuracy. Flat surface, spherical surface, aspheric surface, Free-form surface, polarization grating, linear diffraction grating,rotating system diffraction grating and resonance mode filter Our precision diamond turning and diamond milling equipment produces aspherical and free form structures. 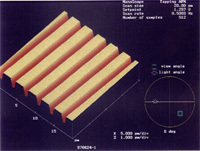 Each geometry'optical surface can be corrected with our own program. With grinding and polishing processing as nano level, an arbitrary glass mold (very small radius, high NA micro lens array) by processing WC is available.